Removing the appendix early in life reduces the risk of developing Parkinson's disease by 19 to 25 percent, according to the largest and most comprehensive study of its kind, published in the October 31, 2018 issue of Science Translational Medicine. The open-access article is titled “The Vermiform Appendix Impacts the Risk of Developing Parkinson’s Disease.” The findings also solidify the role of the gut and immune system in the genesis of the disease, and reveal that the appendix acts as a major reservoir for abnormally folded alpha-synuclein proteins, which are closely linked to Parkinson's onset and progression. "Our results point to the appendix as a site of origin for Parkinson's and provide a path forward for devising new treatment strategies that leverage the gastrointestinal tract's role in the development of the disease," said Viviane Labrie, PhD, an Assistant Professor at Van Andel Research Institute (VARI) and senior author of the study. "Despite having a reputation as largely unnecessary, the appendix actually plays a major part in our immune systems, in regulating the makeup of our gut bacteria and now, as shown by our work, in Parkinson's disease." The reduced risk for Parkinson's was only apparent when the appendix and the alpha-synuclein contained within it were removed early in life, years before the onset of Parkinson's, suggesting that the appendix may be involved in disease initiation. Removal of the appendix after the disease process starts, however, had no effect on disease progression. In a general population, people who had an appendectomy were 19 percent less likely to develop Parkinson's. This effect was magnified in people who live in rural areas, with appendectomies resulting in a 25 percent reduction in disease risk. By studying barn owls, scientists at Johns Hopkins University believe they've taken an important step toward solving the long-standing mystery of how the brain chooses what most deserves attention. The finding, which is the subject of the cover article of the October 30, 2018 issue of the journal Cell Reports, likely applies to all animals, including humans, and offers new insight into what goes wrong in the brain with diseases like attention-deficit disorder (ADD). The open-acces article is titled “Combinatorial Neural Inhibition for Stimulation Across Space.” "There are a million things out there in the world bombarding our eyes, our ears, our skin, and other sensory organs. Of all of those things, what particular piece of information do we most need to pay attention to at any instant to drive our behavior?" said co-author Shreesh Mysore, PhD, a Johns Hopkins University neuroscientist. "Our work provides a really beautiful answer to how the brain solves a key component of that problem." Despite studying the forebrain of animals for decades, scientists haven't found a good answer to the question of how the brain decides what to pay attention to. 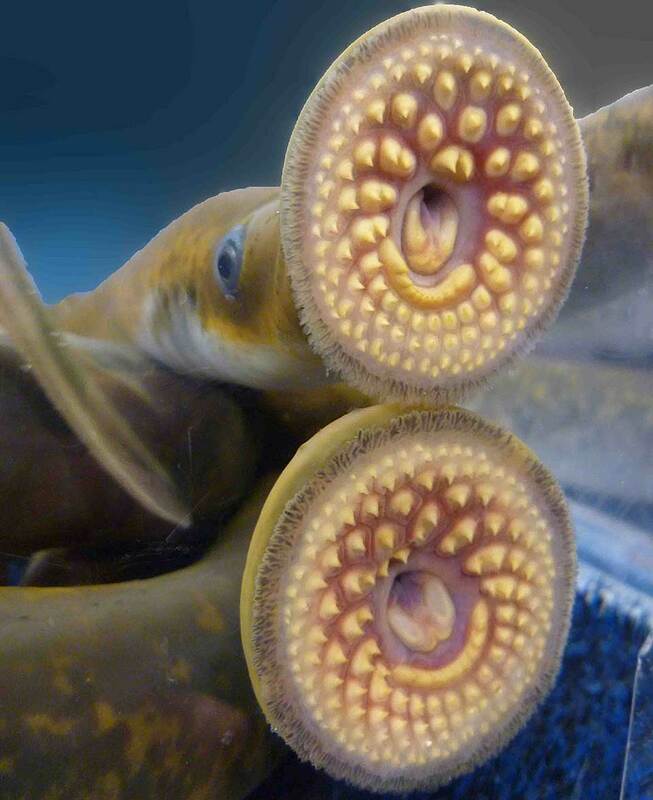 The researchers decided instead to look at the midbrain, an evolutionarily older part of the brain found in everything from fish and mammals to birds and humans. "All animals have a need to pay attention to the thing that might impact our survival, but we don't all have a highly developed forebrain," said Dr. Mysore, who is also an Assistant Professor of Psychological and Brain Sciences. (BY SALLY G. PASION, PhD, Associate Professor of Biology, San Francisco State University). On October 18, at the 2018 American Society for Human Genetics (ASHG) Annual Meeting in San Diego, California (http://www.ashg.org/2018meeting/) (October 16-20), software engineer Nima Mousavi, PhD (@nmmsv), in the Electrical and Computer Engineering Department, University of California San Diego (UCSD), in the laboratory of Dr. Melissa Gymrek (https://gymreklab.github.io/), highlighted GangSTR, a novel algorithm for genome-wide profiling of both normal and expanded tandem repeats (TRs). GangSTR provides a new way to identify short tandem repeats (STRs) from next-generation sequencing (NGS) data. STRs are 1-6 base-pair (bp) sequences, repeated in tandem in the genome. Dr. Mousavi’s presentation was one of six that were delivered in a late-morning meeting session (#51) titled ““What Are We Missing? Identification of Previously Underappreciated Mendelian Variants.” The session is described at the following link: http://www.ashg.org/2018meeting/listing/NumberedSessions.shtml#sess51. Dr. Mousavi’s presentation (#188) was titled “GangSTR: Genome-Wide Genotyping Short Tandem Repeat Expansions” (https://eventpilot.us/web/page.php?page=IntHtml&project=ASHG18&id=180122313). STRs exhibit a higher mutation rate compared to insertion-deletions (indels) or single nucleotide polymorphisms (SNPs). Three percent of the human genome contains STRs, and the presence of the repeats may affect the coding region and thus the protein sequence, or it may occur in the non-coding region and affect gene expression. There are STRs that are implicated in trinucleotide repeat diseases such as Huntington’s disease (HD), fragile X syndrome, Friedreich ataxia, spinocerebellar ataxia, and myotonic dystrophy. The 2018 annual meeting of the American Society for Exosomes and Microvesicles was held October 20-24 in Baltimore, hard by the water’s edge in the Baltimore Marriott Waterfront Conference Center. ASEMV president, Stephen Gould, PhD, Professor of Biological Chemistry & Co-Director, Graduate Program in Biological Chemistry, Johns Hopkins, reported a record attendance of 250 scientists from the United States and around the world (Korea, Norway, Sweden, Canada, Australia, Japan, UK, Italy, Portugal, The Netherlands) at this historically intimate and highly interactive meeting that benefits greatly from having communal meals and no overlapping sessions. The five-day meeting featured over 100 podium presentations and myriad posters. The daily consecutive sessions typically ran from 8.30 in the morning to 9.30 in the evening, and were followed by two hours of poster viewing and interaction among researchers and with sponsors. The communal meals and poster sessions offered excellent opportunities for significant interaction amongst conference participants and also for interaction between attendees and the over 20 companies (see below) that were sponsors of the meeting. Dr. Gould highlighted the key role of these sponsors in enabling this very special meeting, and noted that this year featured record sponsorship, with almost triple the number of sponsors relative to the number for last year’s meeting at Asilomar in California. This impressive increase in sponsorship is a reflection of the recent explosion of research and interest in exosomes from many quarters of medicine and science. The 20th Annual International Meeting of the Institute of Human Virology (IHV) at the University of Maryland School of Medicine is being held from October 21-25, 2018 at the Four Seasons Hotel in Baltimore, Maryland. This year, among other viral and cancer-related topics, the meeting is holding special sessions on the 40th anniversary of discovery of the first human retrovirus, Human T cell Leukemia Virus (HTLV), and the 15th anniversary of the President’s Emergency Plan for AIDS Relief (PEPFAR). The IHV’s Annual International Meeting attracts hundreds of elite scientists who descend upon Baltimore to share ideas and inspire medical virus research collaborations. 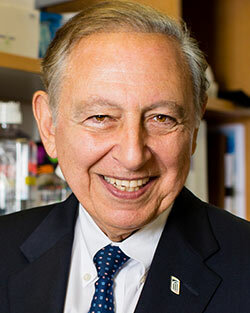 “Our meeting is designed to highlight cutting-edge science and provide a platform for provocative discussion,” said Robert C. Gallo (photo), MD, The Homer & Martha Gudelsky Distinguished Professor in Medicine, Co-founder and Director of the Institute of Human Virology at the University of Maryland School of Medicine, and Co-founder and Director of the Global Virus Network (GVN). “It is clear from yesterday’s session that there is still much research needed forty years since announcing our discovery of HTLV-1 at a Cold Spring Harbor meeting. It is my hope that governments far and wide will recognize this need and provide the resources needed. I am looking forward to hearing about the enormous success of PEPFAR during our special sessions tomorrow, and about the lessons learned which could potentially be applicable to the HTLV pandemic today.” The meeting program’s organization was led by Man Charurat, PhD, Professor of Medicine and the Director of the Division of Epidemiology and Prevention of the IHV at the University of Maryland School of Medicine. (BY MICHAEL A. GOLDMAN, PhD, Professor, Former Chairman of Biology, San Francisco State University). The American Society of Human Genetics (ASHG) Presidential Symposium, titled “Origins of Our Species: Advances in Our Understanding of Ancient Humans in Africa,” began in late afternoon Thursday October 18, and was open to all of the meeting’s ~9,000 attendees (an ASHG meeting attendance record). This symposium featured stimulating presentations by three prominent evolutionary geneticists, followed by a brief panel discussion amongst the three speakers, which was moderated by Dr. Charles N. Rotimi, of the National Human Genome Research Institute (NHGRI) in Bethesda, Maryland, and Dr. Sarah Tishkoff, of the University of Pennsylvania in Philadelphia, Pennsylvania. Dr. Rotimi is a Senior Investigator at NIH, and Dr. Tishkoff is David and Lyn Silfen University Professor, Departments of Genetics and Biology, Perelman School of Medicine and School of Arts and Sciences, University of Pennsylvania. The essence of being human, according to first presenter paleoanthropologist Dr. John D. Hawks of the University of Wisconsin-Madison, is a process, rather than a specific thing. We share a common heritage, and we will make a common future, he said. We are all part of that process whether we share particular traits that are thought to be characteristic of humans, such as speech and walking upright, or not. This simple observation belies the extraordinarily complex and controversial story of human origins featured in the President's Symposium. In a field where each new fossil discovery seems to add yet another gap to the record, Dr. Hawks admits that we still have much to learn, and that we will be continuously surprised, as now is as exciting as any time in the study of human evolution. Dr.
A new approach to genetic analysis finds associations between environmental factors and pharmacogenes – genes associated with a person’s response to drugs – sparking ideas for new research at the interface of population genetics and medicine. Findings were presented Thursday, October 18, at the American Society of Human Genetics (ASHG) 2018 Annual Meeting in San Diego, California (October 16-20). “Humans have developed and used pharmaceutical drugs for a few centuries, but their genes have been functioning on their own and interacting with other environmental factors for long before that,” explained presenting author Chris Gignoux (photo), PhD, of the University of Colorado Anschutz Medical Campus. Like changes in the physical environment, drugs affect the micro- environment within the body, which alters the way its cells and genes function. This suggests that genes with pharmacogenomic relevance may also be useful in studying broader correlations between genetics and environment. To explore a variety of environmental factors, Dr. Gignoux collaborated with Elena Sorokin, PhD, of Stanford University, who created a geocoded resource of over 20 climate, geographic, and ecological variables, using data from NASA, the World Wildlife Fund, and other sources. With collaborators from across the United States, they examined samples from the Population Architecture using Genomics and Epidemiology (PAGE) Study, a large initiative to highlight the utility of studying clinically and epidemiologically relevant variation in 51,698 individuals from 99 global populations. In a new type of analysis they termed an Enviro-WAS (environment-wide association study), the researchers examined 19,690 pharmacogenomically-relevant variants to identify associations between genotypes and the 20 environmental variables.